Is your carpet stained or ripped up from pets? Maybe you just want a different color to match the walls. Whatever the reason is, a new carpet is an excellent option for families or homeowners in Clearfield UT 84015 that are looking for warm, comfortable flooring above all else. Carpets today are designed to withstand today’s active lifestyles. Gone are the days when even high-end carpets left tracks as you walked, were irreparably crushed by furniture, or were ruined by simple spills. Foot traffic, odors and stains are less of a worry than ever before. All our carpets come from quality manufacturers and we take great pride in fitting them professionally and expertly to give you floors that look and feel fantastic. We are a full service flooring installation company in Clearfield UT serving residential & commercial customers throughout the county. We are locally owned and run and fully licensed. We offer the highest quality carpet installation solutions for you. We always listen carefully to your concerns and only deliver honest and reasonable responses. We focus on providing top-notch craftsmanship using only the finest products, to guarantee our clients’ complete satisfaction. Our carpet experts care about building lasting relationships with our clients. SLC Flooring combines years of training with dedication to make sure that the outcome you want is the one that you receive. 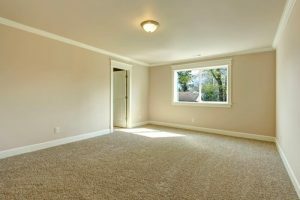 We encourage you check out all the services we offer and find out why we are the best choice for carpet flooring installation in Clearfield and bordering cities. Our primary objective is to make certain our clients are delighted with the end product. Our company believes in quality craftsmanship and won’t compromise on the end product to boost profits. We have one of the top reputations in the region so you can be sure your project will get done the very first time correctly. Call us at 801-515-0047 for a free estimate. Clearfield is a city in Davis County, Utah with a total population of approximately 62,494. Clearfield, which uses the 801/385 area code, is located at 41.113822, -112.087162 at an elevation of 4,302 feet. There are over 18,944 households and on average there are 3.23 people in each household with a median age of 27.6. The average income in the area is $59,489 and the average home value is $171,100.